Our philosophy is simple – provide our clients with the greatest value by delivering the highest quality home at the most economical price. There are key components that allow our philosophy to be successful. These include communication, teamwork, and a reliable budget. Communication is the foundation of a successful project. We strive to continually improve our services by building on the vital feedback we receive from our clients. Today’s technologies allow us to provide our clients with the most open and thorough lines of communication. We recognize many of our clients have busy schedules that can limit visiting their home site. Our latest improvements now include providing our clients secured access, through our website, with digital photo updates so they can follow along with the construction progress of their home. This also allows our clients to share the excitement of their construction project with family and friends. Teamwork is another key component of our philosophy. We understand that a project will be successful when Stark Construction, along with our clients, the architect and designers are working closely together. This is important from the smallest remodel or addition to a complete new custom home. 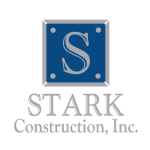 We emphasize the importance of teamwork with each of our subcontractors and craftsmen, many of whom have long standing working relationships with Stark Construction. They understand our expectations, which we have worked tirelessly to create over many years. Teamwork with our subcontractors is especially critical to get the best prices when bidding on projects. We know that our pricing is competitive without compromising our quality and value. Budget setting and reporting must be provided in a streamlined, clear and concise manner for our clients. We recognize that a home may be one of, if not the most, important financial investment decisions for our clients. We feel that by understanding our clients’ needs and wishes, we are able to assist in sound decisions to avoid surprises. We believe that starts with preparation and making mindful decisions in concert with the architects and designers early in the process to create an accurate construction budget. One often hears horror stories in residential construction which are due to inaccurate construction budgets and lack of communication between the homeowners and contractors. We hold ourselves to a higher standard for both our benefit and more importantly, our clients, for a successful outcome. Our longevity is a testament to our commitment to our clients and our teamwork approach. We plan to be around for many years to come. With this understanding, we can truthfully say that we are able to exceed the expectations of our clients and build them a home that is meant to last.